Was it a good day?" I did this, I did that, and, yes, it was a good day." Or, "No, I had problems. this problem happened, that problem happened. So, no, it was not a good day." 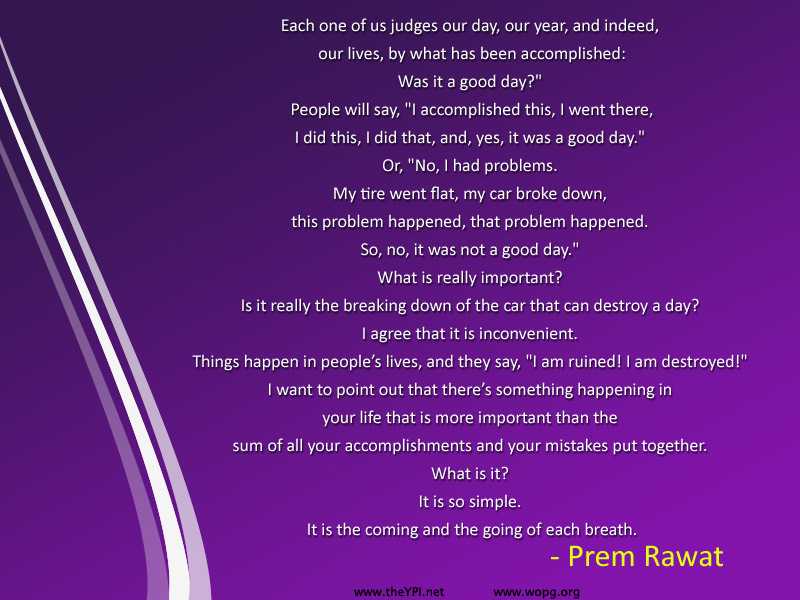 Is it really the breaking down of the car that can destroy a day? I agree that it is inconvenient. Things happen in people’s lives, and they say, "I am ruined! I am destroyed!" sum of all your accomplishments and your mistakes put together. It is the coming and the going of each breath.